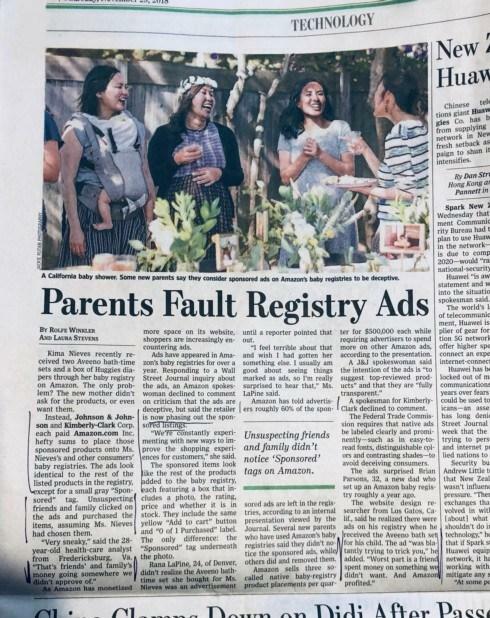 Amazon hacked people’s registries and put stuff in them that the registrants didn’t want, reports today’s WSJ. And it made millions of dollars in doing so. What it did may even be a crime. See today’s WSJ for the full story.